The Friends of the Oviatt Library at California State University, Northridge is accepting submissions for the inaugural San Fernando Valley Award for Fiction. Photo by Lee Choo. The Friends of the Oviatt Library at California State University, Northridge is putting out a call for submissions for its inaugural biennial San Fernando Valley Award for Fiction. The honor was created to recognize the important role the San Fernando Valley plays in the larger story of Los Angeles and beyond. The Friends of the Oviatt Library created a similar award in 2015 to shine a spotlight on nonfiction writing about the Valley, as well as to promote research and writing related to the region. Stover said the fiction award was created to recognize compelling works about or that contain a significant reference to the San Fernando Valley. With the creation of this award, the Friends of the Oviatt Library will be handing out literary honors every year, alternating years between the award for fiction and the award for nonfiction. Eligible works of fiction may be submitted by the author, publisher or any member of the public. All entries must be received no later than Dec. 12, 2016. Submissions must be original, fiction publications produced in book format. The subject of the works must relate directly to the San Fernando Valley. The winner of the San Fernando Valley Award will receive $1,000 and be honored at a reception where he or she will be invited to read from and discuss his or her work. For additional information about the San Fernando Valley Awards for Fiction and Nonfiction, for complete guidelines for the awards or to download a submission application, visit the website http://library.csun.edu/Friends/san-fernando-valley-award-fiction. Those interested may also call (818) 677-2638. 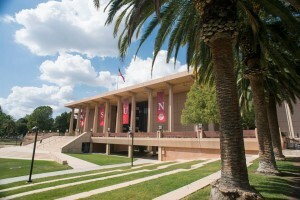 The Oviatt Library serves as the main research facility in the San Fernando Valley. For more information about the library or its hours, visit its website or call (818) 677-2285.